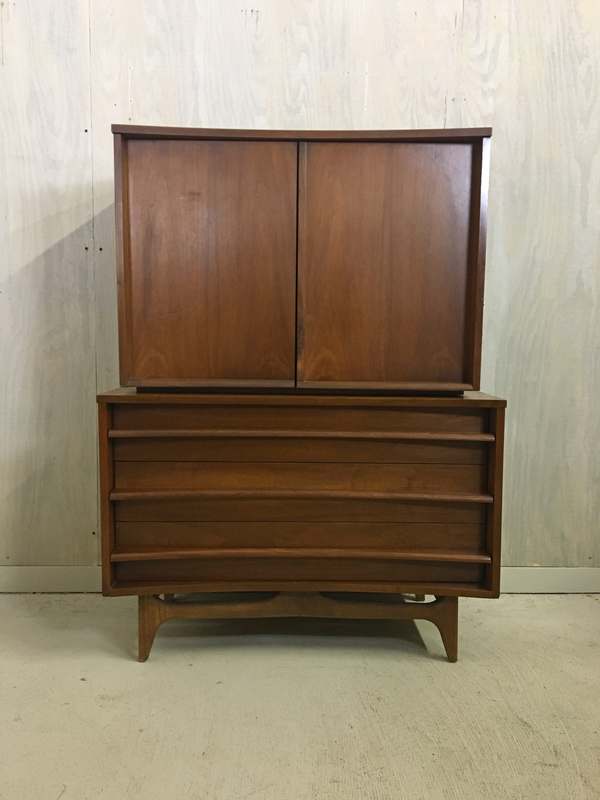 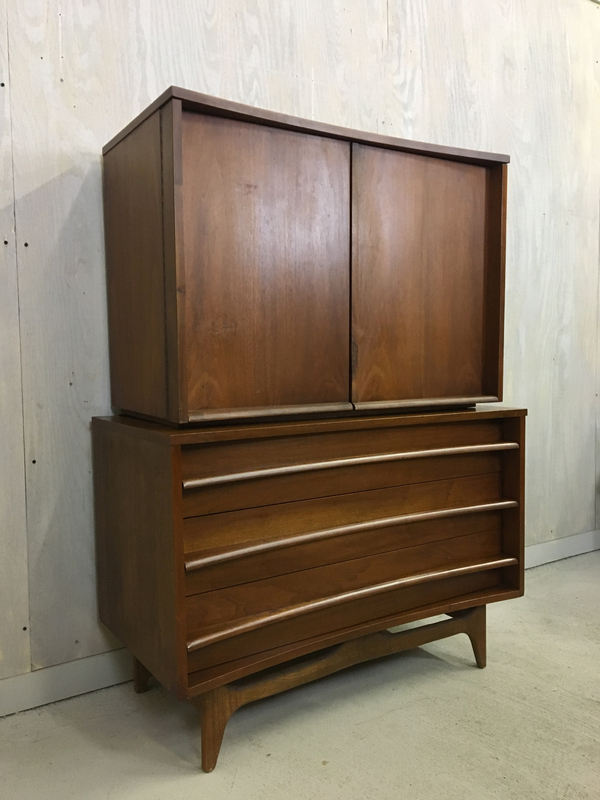 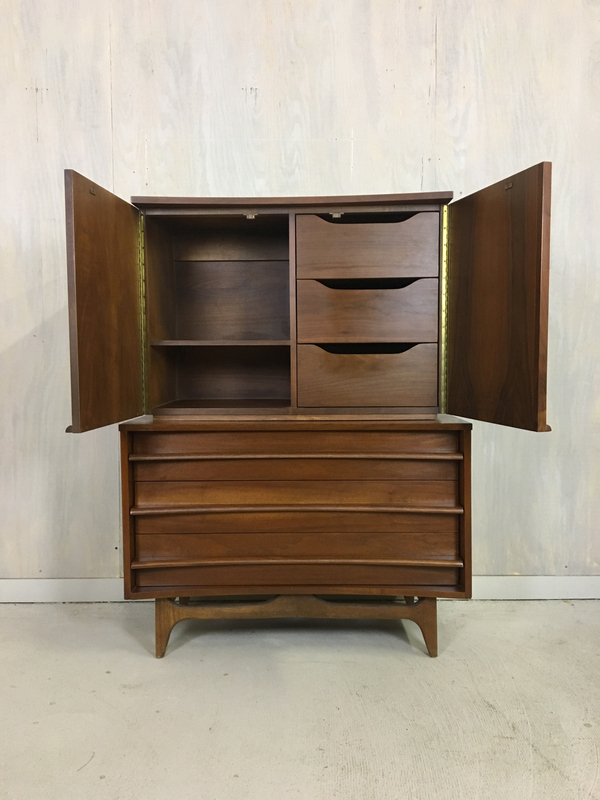 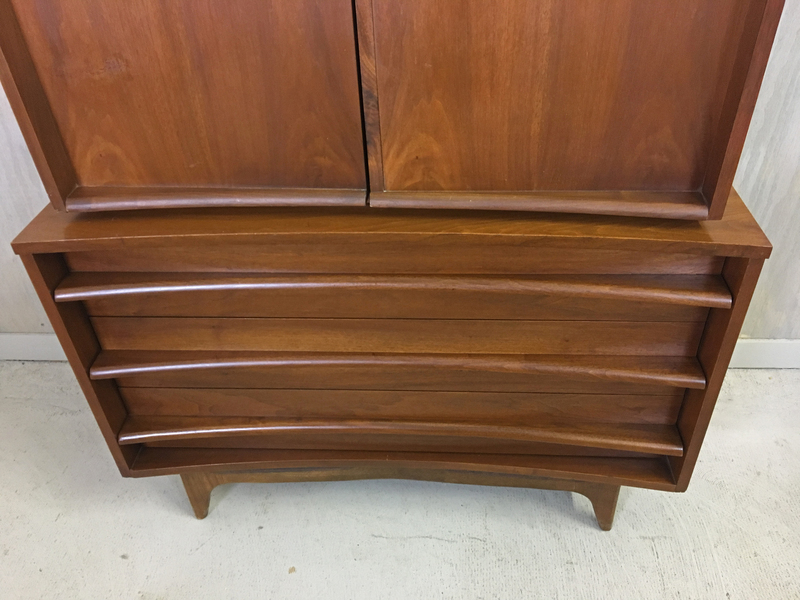 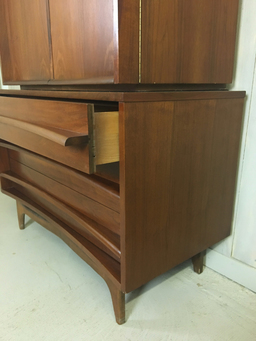 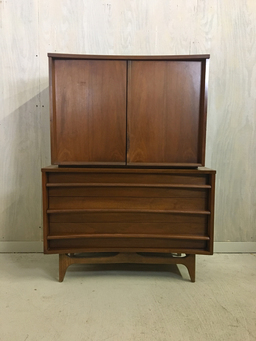 This super sturdy and elegant upright two piece dresser has huge storage capability as well as a classic and dramatic mid century look. 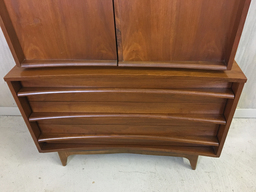 Sculptural full drawer wood pulls on the lower piece, curved front and gorgeous walnut wood grain make this a stand out piece. Top cabinet doors open to reveal three drawers and one fixed shelf. 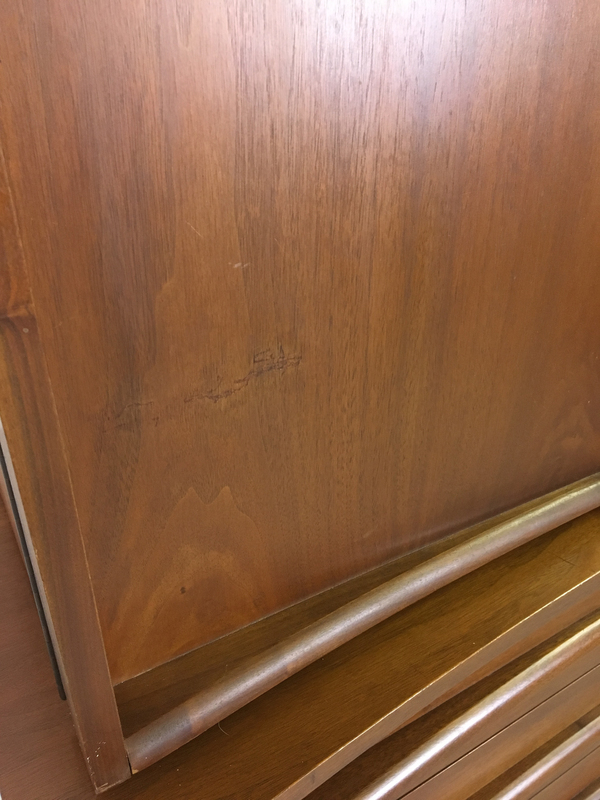 Refinished to mimic the original, the piece is in excellent condition with some small areas of repair and a minor blemish on the front cabinet door (see photo).